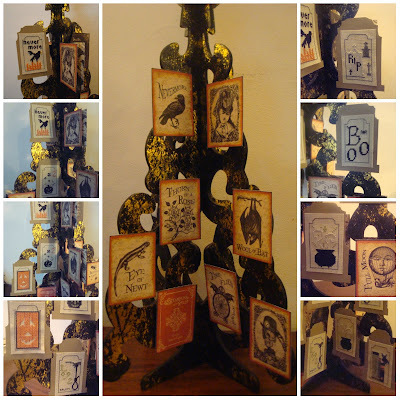 What kind of fantasy creatures inhabit your Works in Progress? 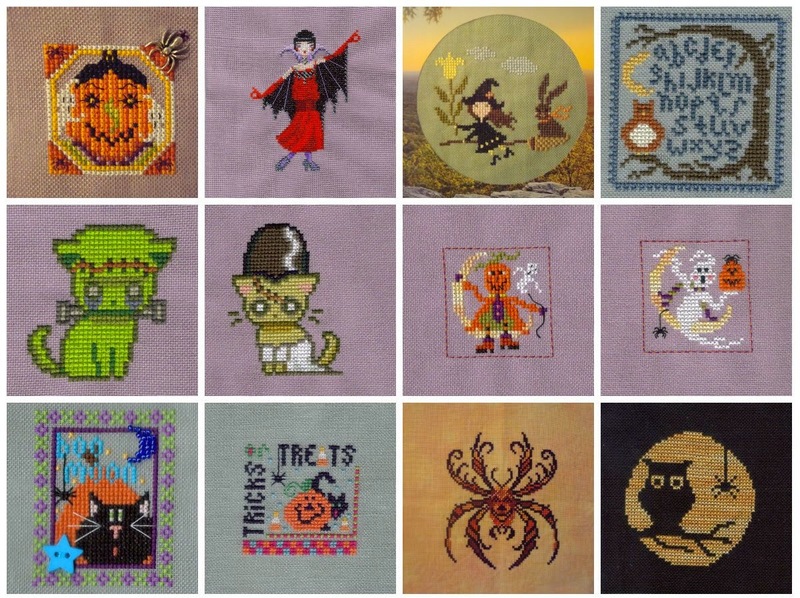 Or perhaps some fictional characters have leaped from the pages to your needles? 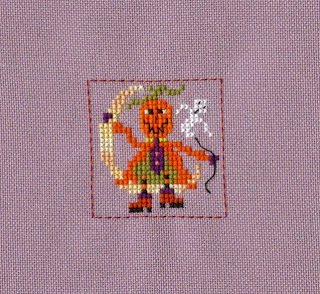 Let's stitch on projects inspired by imagination. What pieces can you find in your flood of WIPs that include water? Rivers, lakes, oceans, or rain (and anything that lives within). There are always tears at weddings, aren't there? Is it a zoo in your stack of WIPs? 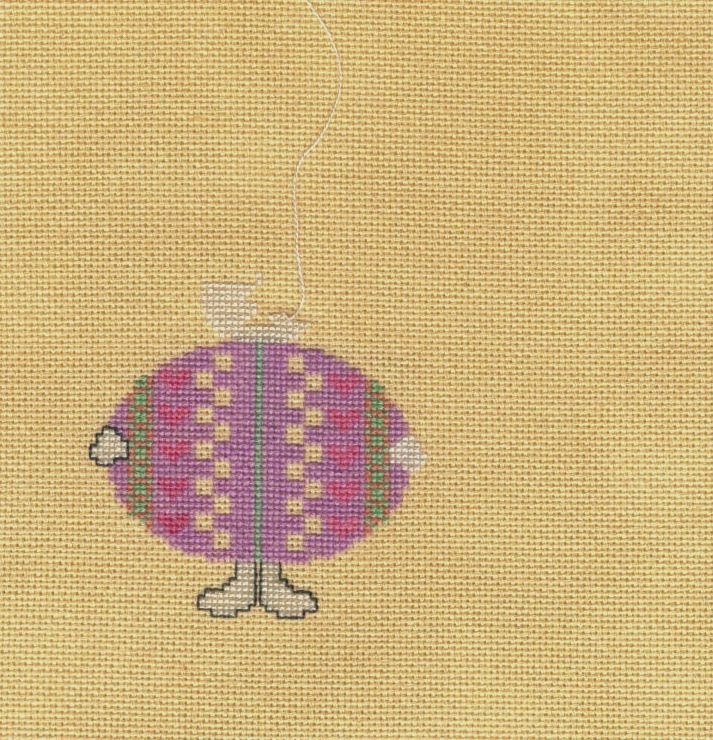 How many projects can you find that include animals or birds? 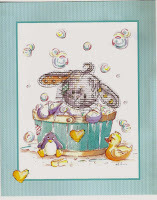 Six diferent animals, that final one is a frog which visited Noel Blanc! School's out for the summer! Let's work on things with sunshine in them or REALLY bright colours. Summer is here! Teresa Wentzler's Dragon helped celebrate the end of term as a teacher gift. The words are speaking this month! Hunt out those WIPs with a verse or two. It's time those projects with words and sentences grew. 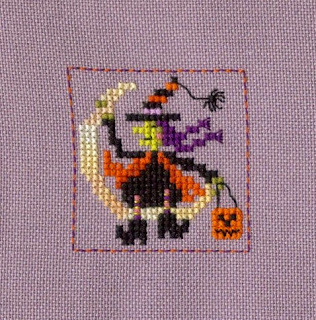 I told a lovely story based around my stitching this month. Joan Elliott's Angel featured in the story. 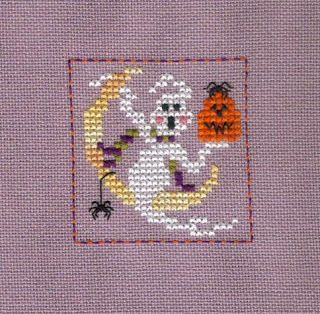 I stitched nothing on this Just Nan design! So no Xs there! Do you have gifts you need to finish? Projects you're sick of looking at that you want done? 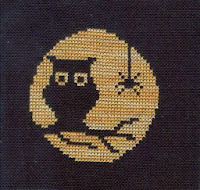 Or maybe you just want some nice, relaxing stitching for a hectic month? Anything goes this month! 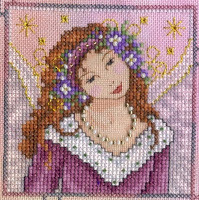 Heather has decided to have a little break from Theme-a-licious in 2016 which is a shame because I do love my themes! You will all laugh when you hear what was in one of the crackers this Christmas - a shoehorn! My hubby "won" that prize because we pulled the cracker together and he got the bigger part but I insisted he give it to me for my blogging. Instead of doing Theme-a-licious then, I have signed up for a new SAL - D.E.S.I.G.N. 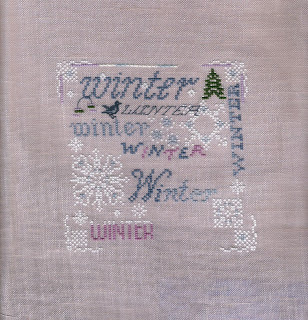 The idea is to choose one of the WIPs you have stitched on that month and do a little article about the designer. 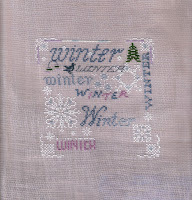 Hopefully I will feature some designers new to some of you and encourage you to visit their blogs or websites. And I successfully completed all three challenges! Yay me! 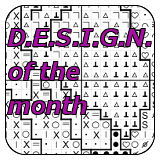 For more information on each design, just go to the relevant month on the blog. 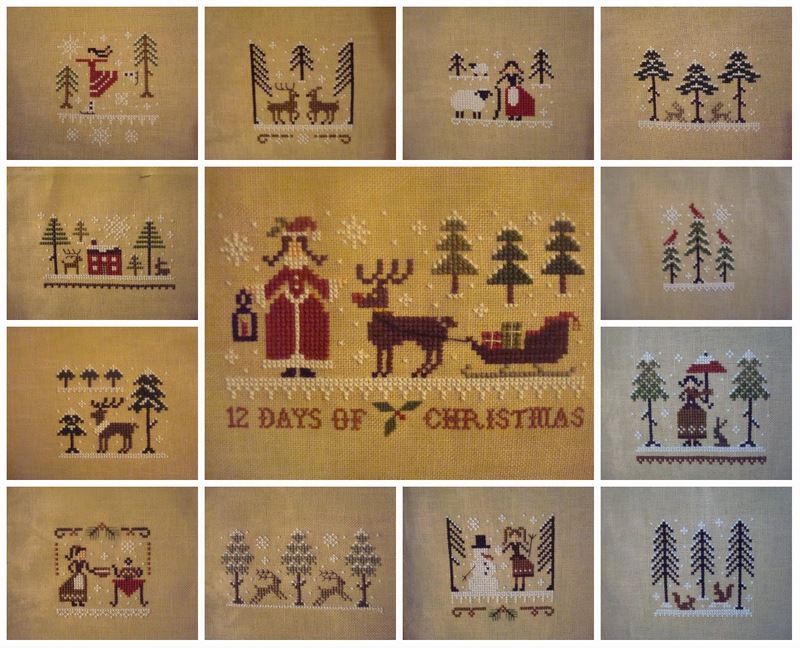 The next part of the challenge was The Little Stitcher 12 Days of Christmas designs. 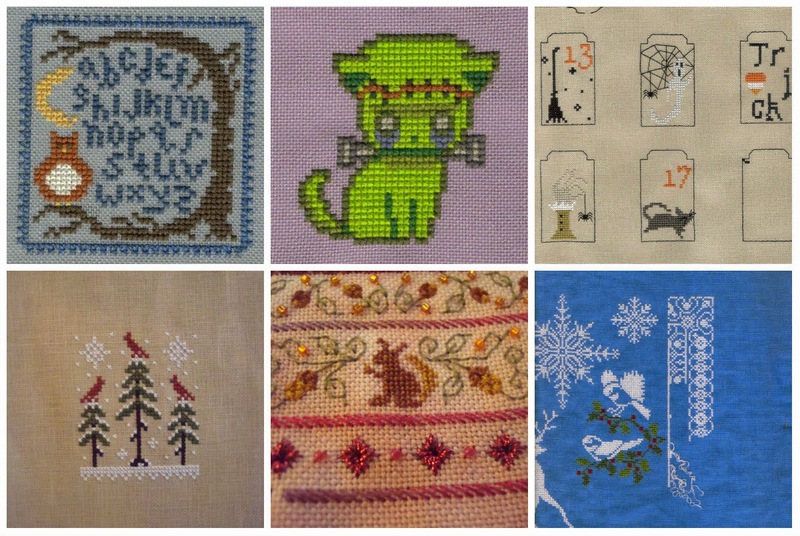 I stitched one per month and used them to illustrate my TUSAL posts. 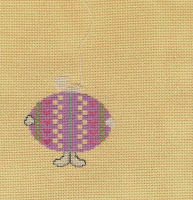 I also stitched the Miss Santa design from JCS which I plan to use as the cover for a scrapbook for the other twelve designs. 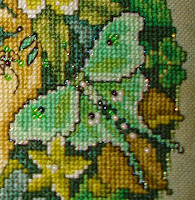 They are all stitched on the same 32count Vintage Grain linen, it's just the photogaphy makes them look different! 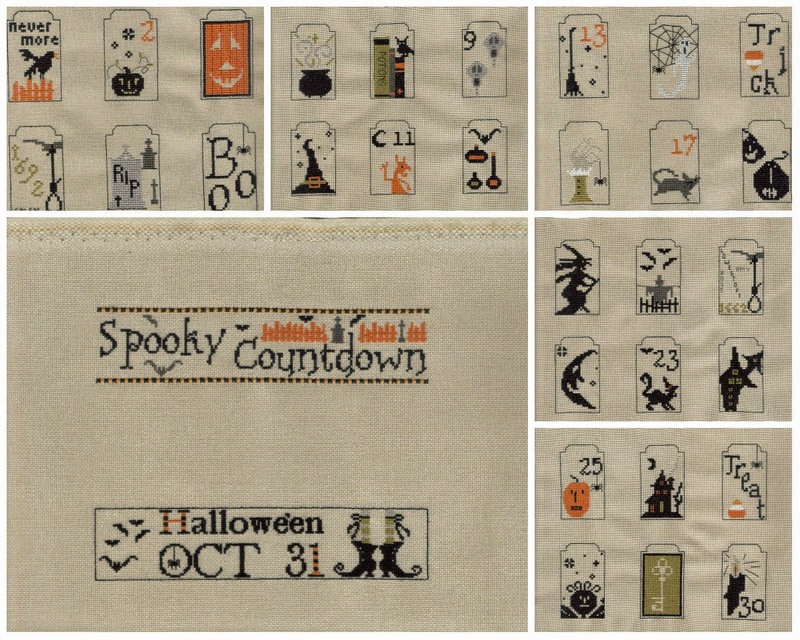 The final part was the Spooky Countdown by Primitive Hare, one little block per week from January to October plus the header and footer. 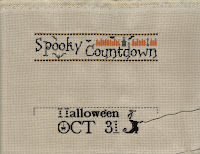 I made this into a Hallowe'en Countdown Tree. The Smalls SAL is continuing next year, which is great news. 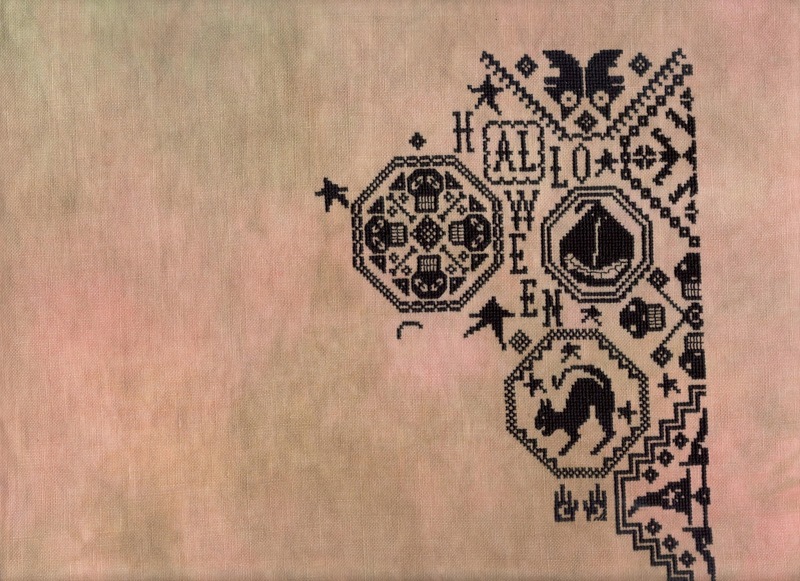 I have decided to have just two monthly challenges, the Hallowe'en Ornie SAL and the Hallowe'en Cubes from Primitive Hare which I will again be SAL with Giovanna in Italy. The other smalls will be random things from my 15 in '15 and the DUCJC too. 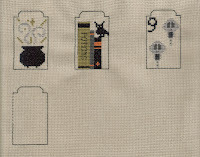 Finally, I'm posting this update a day early so I can dedicate a full post for Theme-a-licious tomorrow! 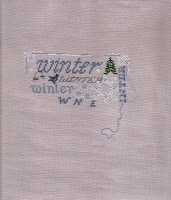 This is the Acorn House Design from JCS Christmas Ornie Special 2013. 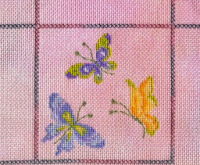 I finished the cross-stitching just before Christmas and want to add some gold beads to the centre of each flower and then finish it as a cube finish. 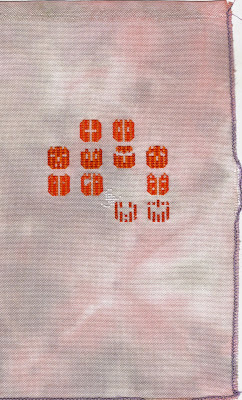 I have the backing fabric and need some ribbon plus a cube! I asked hubby if we had any polystyrene packing blocks and he said "yes, I binned a load at the beginning of December". Oh well. Finally, the Advent Calendar was a resounding success again this year. At 548 views it has already topped the 2012 Calendar but has a way to go to beat last year's (1058 views). The links under the photos go direct to the Advent Post on the relevant blog so if you have been too busy to comment on everyone's blog then please feel free to go over now.